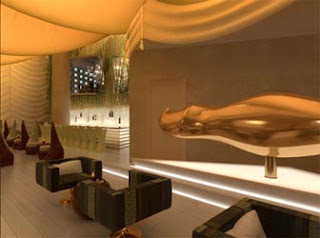 Sultan Lounge is a sophisticated lounge with golden and luxurious ambience, this project is located at Kuala Lumpur City Centre. Sultan Lounge was designed by Stephane Dupoux, the designer behind establishments such as Cocoon in London and Buddha Bar in New York. The Designer tried to harness positive energy to minimize the feeling of being underground by choosing very flattering lighting to make patrons feel comfortable. 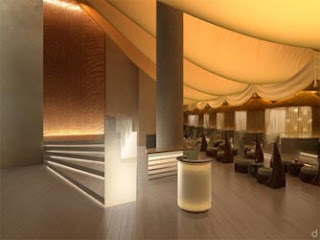 The roof of Sultan lounge is using luxury Arabian tent, all the furniture has a unique shape that create mystical ambience. The Sultan Lounge is using a gold, yellow and brown as it’s color selection. 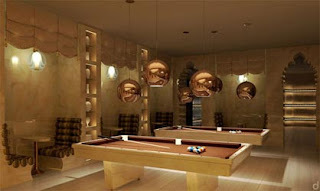 This lounge also include 10 semi-private booths running along the lounge’s entire length, a gold-plated DJ console shaped like a cloud and an area known as “the library” with two pool tables and a triple-height water feature overlooking a glassy opaque bar. 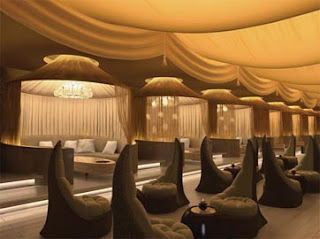 The Sultan Lounge has a function as a party space and a business place. Sultan Lounge definitely a stunning and unique place to spend your time. 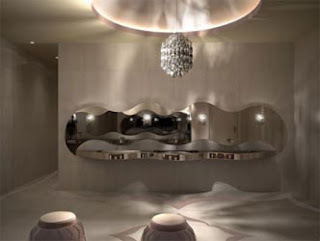 Dupoux design is totally done because of Stephane Dupoux's stupidity. Can not really blame him because he's not well educated anyway. Could it be the reason why there is only 3 comments ? very beautifull! i olso wan't to open a lounge cafe.. i've been inspired from your pictures! Thanks for sharing this useful information with all of us.Keep sharing more in the future.Have a nice time ahead. Evolve Magz is an online magazine about art and design. Evolve Magz gives you the news and review of architecture, art, interior design, product design, photography and other related information. Feel Free to browse the site to learn more about art and design. We hope with information available in this site we could evolve the mind of our readers. We also accepting submission of your projects related to our contents.